Union County Orthopaedic Group (Linden) - Book Appointment Online! 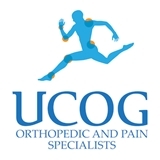 At Union County Orthopaedic Group: Orthopedic & Pain Specialists, our basic philosophy is one of early diagnosis combined with continued conservative management. We are proud to have many patients we have served for years without surgical intervention. When surgery is necessary, know that our surgeons have successfully operated on thousands of patients, including many local physicians. Friendly environment and doctor was very good.